Another of The Commodore’s Cleveland Clippings. 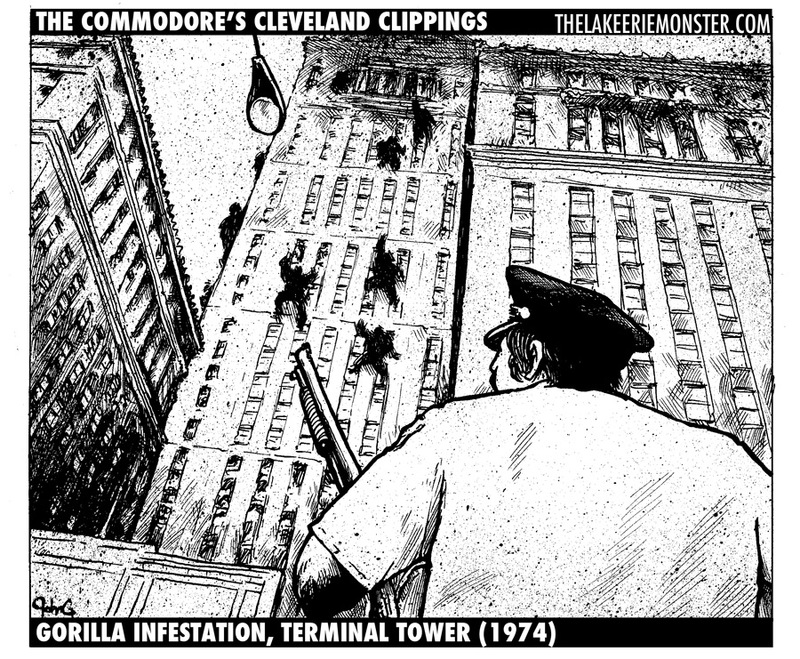 This time we’re back at The Terminal Tower, the site for many strange and horrific occurrences. Just another quick note, The Lake Erie Monster #1 keeps selling out at all our retailers, we we’ll be running around to LOOP, Big Fun, and Blue Arrow Records today to restock them. This first issue is going fast! If you haven’t gotten one yet, don’t sleep!